Francesca Peschier explores how regional and working class accents are both underused and misused by theatre. Alan McMahon and Josh Williams in If We Got Some More Cocaine I Could Show You How I Love You at Vault Festival 2018. Photo: Keith Dixon. In ‘I bet Nicholas Hynter doesn’t have to do this’, a brilliantly titled chapter of Glory and the Garden (eds. Ros Merkin & Kate Dorney) , Gwenda Hughes chronicles the complaint letters she received as artistic director of The New Vic, then The Victoria Theatre in North Staffordshire. Amongst these are a series of moans directed at Northern Broadsides’ Shakespeare, including one outraged-of-Cheshire writer who felt horrified at the bard’s words being so unsuitably intoned by those with (gasp) regional accents. Not only was our affronted friend clearly a frightful snob, he was also wrong: as scholars of original pronunciation will tell you, accurately ‘saying it as it was written’ doesn’t mean RP, nor is having an accent some strange quirk of the 21st century. Unless you have access to a time machine, all of our modern-day voices are “wrong” for Shakespeare, not just those which aren’t posh or from beyond the M25. Within the small screen world of ‘The North’™ as presented in TV comedy and drama, individuals are consistently restricted to simplified working-class characters who present an invariable parade of stereotypes. Such on screen depictions of the city have conditioned the national horizon of expectations as to what is expected from such characters. My personal experience if this has been heavily coloured by my PhD research on staging Liverpool but I also come from a place that is popular as a punchline: Croydon. Perhaps I have been naïve (and likely sheltered by my middle class-ness and white-ness) but I never felt particularly marginalised by the endless gags about not falling asleep on the bus lest you end up in my hometown. That was until this year when I saw two plays that centred Croydon voices, and not just as bleak funny background (Hallo Peep Show): If we got some more cocaine I could show you how much I love you (John O’Donovan, so good that Exeunt reviewed it THRICE) with Casey – a young, black man from Croydon with a gentle nature and steadfast resolve, and the hilarious yet heart-breaking Dean McBride, by Sonya Hale). I felt unexpectedly moved, hearing voices that I knew finally given the limelight. Too often, the sound of a northern or working-class voice on stage heralds either comedy or what Natasha Tripney describes in in Exeunt’s (Mostly) Irrational Theatre Dislikes as a ‘detonator’ –an individual with no personal agency but used to ‘hold up a mirror to other characters’. My frustration boiled over when watching The National’s Macbeth. I’m sorry (ok, not that sorry) to kick a show while it’s down, but in all the damning reviews there is a major point that has not been appropriately interrogated: we need to talk about the porter. Though intended by Shakespeare as a fool-style part, the role is expanded, exaggerated and clowned by Trevor Fox, who dials up his natural Geordie to squeeze laughter out of the Olivier audience. His cartoonish performance isn’t the only offender. Banquo’s estuary-accented murderers appear (as described by Sarah Crompton for WhatsonStage) as ‘extras from The Jeremy Kyle Show’. In a National Theatre Shakespeare (and in Macbeth… a play that takes place in SCOTLAND) in 2018, certain voices are only present to be funny, or at best, a ‘gritty’ façade. Sinclair contextualises this as part of bigger social issue, of classist attitudes and a North-South divide that persists. 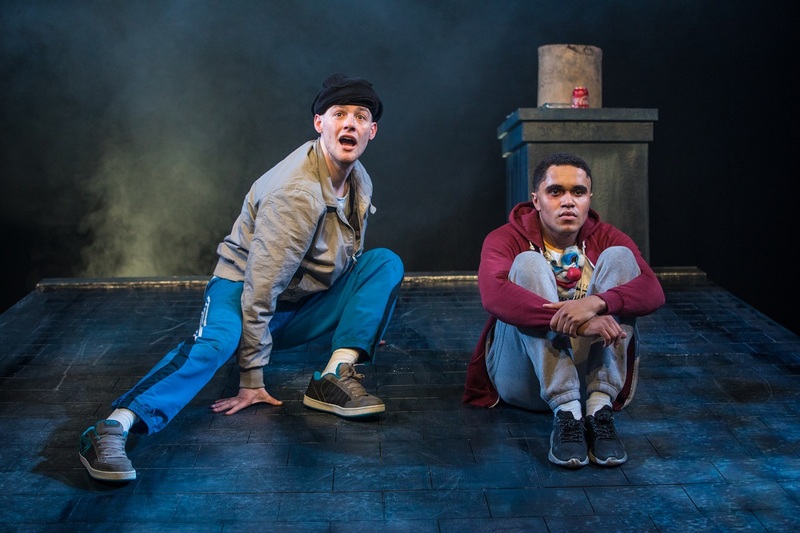 For Sinclair, staging lazy stereotypes is akin to laughing at Liverpool women at Aintree, or tabloid press sending photographers to capture the lack of coats on a Newcastle night out. It is symptomatic of a wider idea spread by the ‘… Tory political narrative that working-class people don’t deserve anything nice, any beauty’. Spending money on looking good isn’t allowed to be glamorous and fun if you don’t live in London, instead it is to be held up for ridicule, for getting it wrong, for trying to take possession of something that the media has decided as not for you. As Sinclair says, ‘sartorial eccentricity’ is praised on the red carpet and catwalk but a plump, northern woman will be ‘eviscerated’ in the same publication ‘… for daring to wear something fun or shiny or tight instead of having the good sense to dress to diminish her curves, her fake tan, her too muchness’. Taking the piss out of the awesome outfits of the races weekend feeds into the image of northern women as unsophisticated, a distanced patronising sneer at the provinces who don’t know any better, despite (as the wonderful blogger Steph Bannister aka Scouse Bird Problems put it) ‘London trustafarians frequently spending thousands to look like they’ve crawled out of a bin’. Croydon might not be classed as a blockbuster-quality landscape anytime soon (though have you seen the 50p tower lit at night? It’s positively Ballard-esque) but just like so many places that aren’t London, heroic stories happen here. Stories that I want to hear in the voices of those that tell them as well as see. Tell me a banging legend mate, and please, I pray you, tell it to me in the tongue it was told to you.